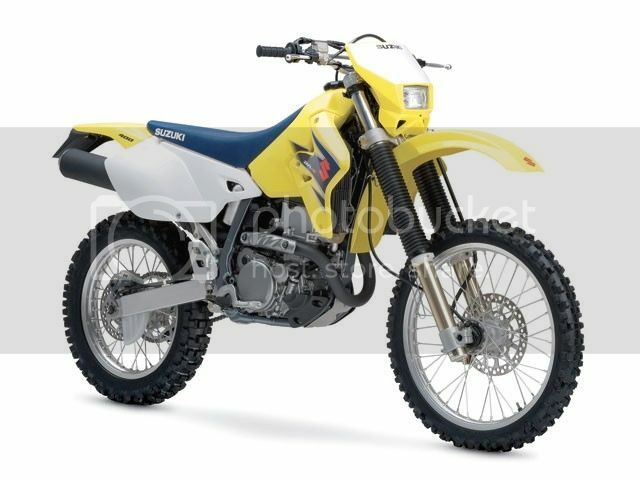 Please check the threads listed below with the individual bike models before starting a new thread with the same subject! 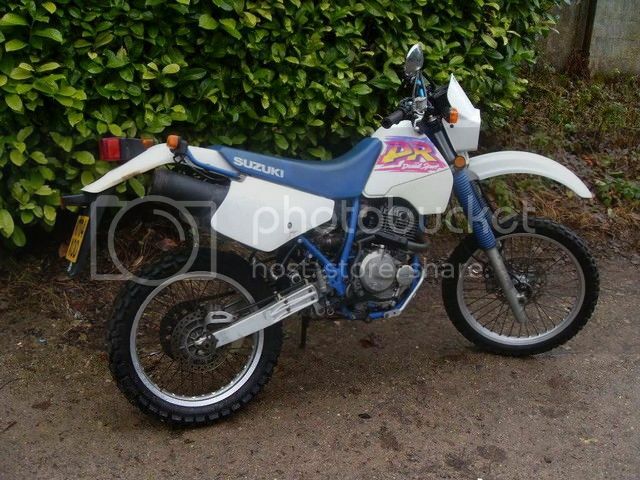 I will try and link all threads with good model specific content on the Suzuki DR child board from here. Please let me know if you find a thread which should be linked. I am still busy with this. You are welcome to give me details about the models, links etc, remind me of models I forgot or deemed unworthy but I may delete or move replies to other threads to keep this thread uncluttered. Feel free to supply any additional info and please let me know if any links are broken or if I'm just plain wrong. replaced by the SE and Djebel 200 (both electric start) in 1996. 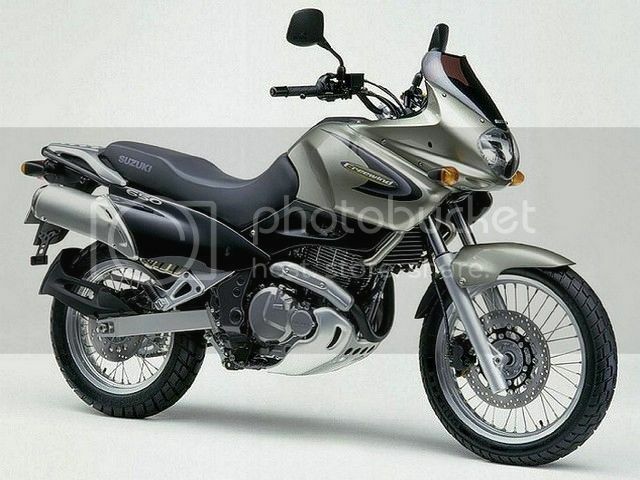 Recent DR200SE (from 200x?) were imported as Agri versions with steel rims and an oil cooler. 1982-1995. 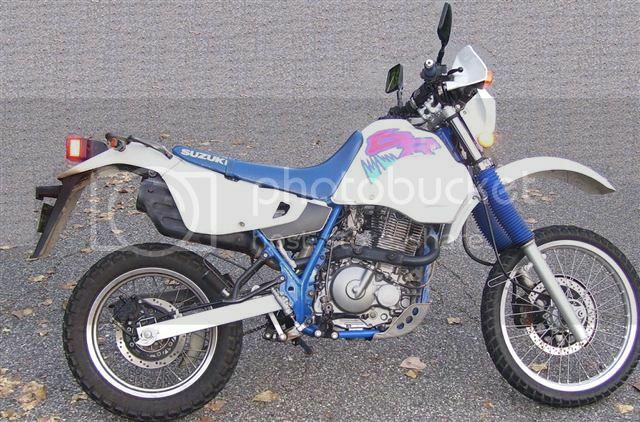 I don't have a lot of info on these bikes. OHC four valve. 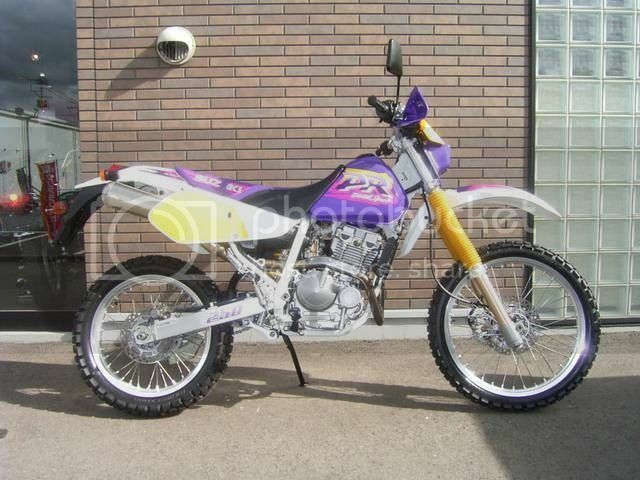 This one is a 1991 SH model (? ), the only one which came with upside down forks. 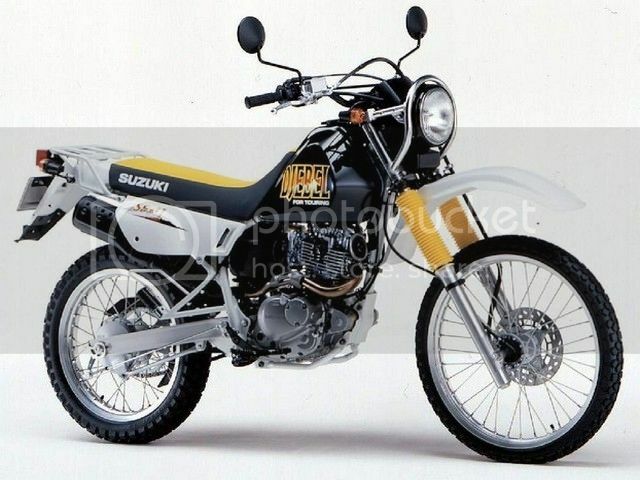 This picture shows the later DR250S with conventional forks. Some early 1990's models also came with a complex "on the fly" suspension height adjustment system. 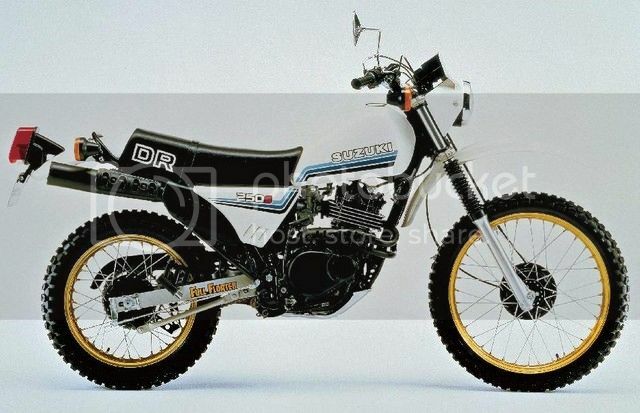 The DR350 was very similar to the late DR250. 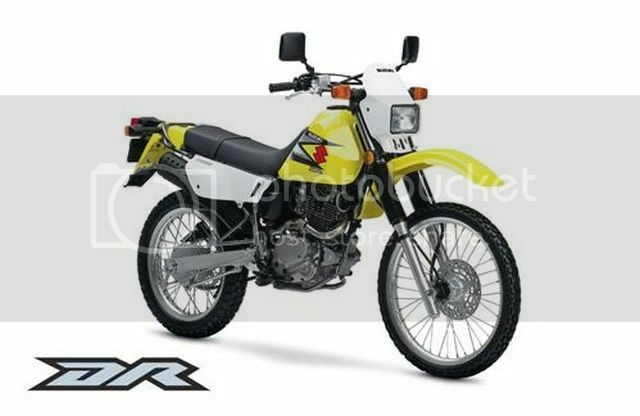 You can consider them as different engine versions of the same bike model. All with the same DOHC four valve engines. The RS was made in 1995-1999. 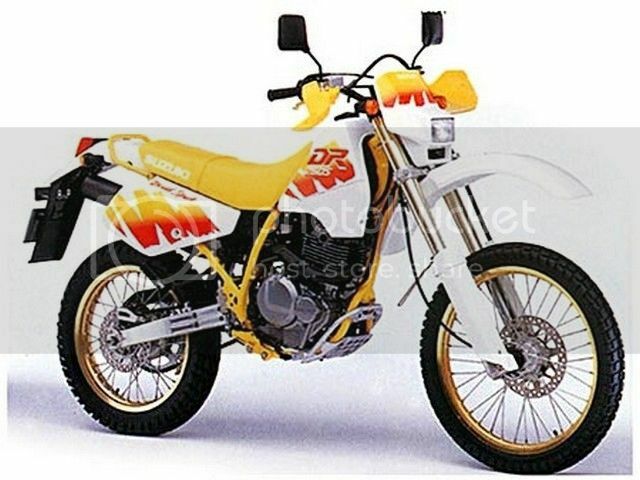 The Dr350 was a larger engine displacement version of the DR250S and both the 250 and 350 were produced parallel in the early 1990's. 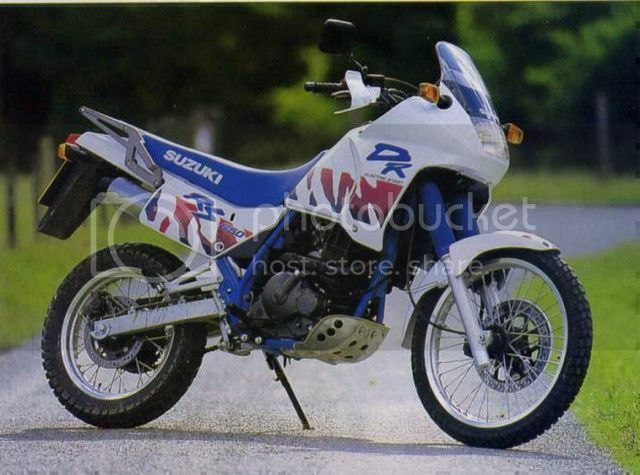 Early S and R models 1990 - 1993 have kick start. 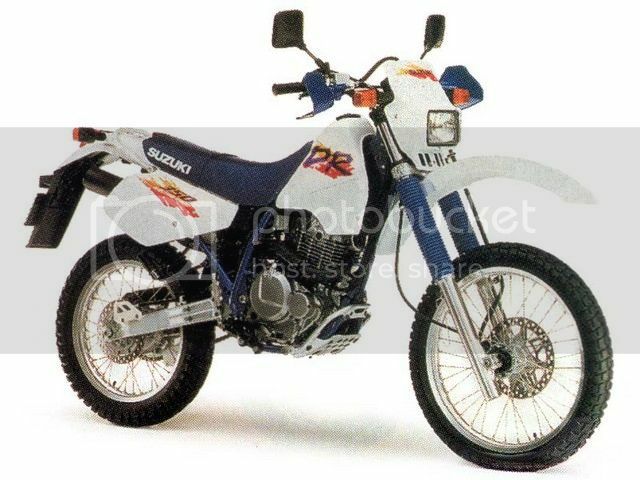 From 1994 the electric start DR350SE replaced the S. All DR350's discontinued at the end of 1999. Replaced the 350's from 2000 on. 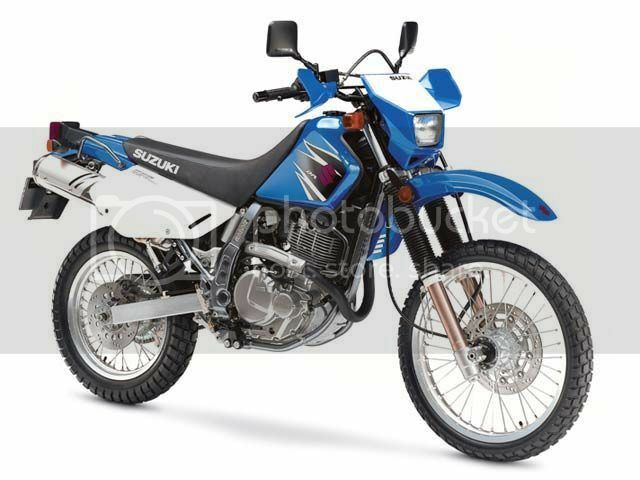 Street legal S; Enduro E and Supermoto SM models. The Freewind is related to the DR650SE using a very similar engine. It uses a twin (intake) port head with twin carbs as opposed to the DR650SE's single port single carb setup. 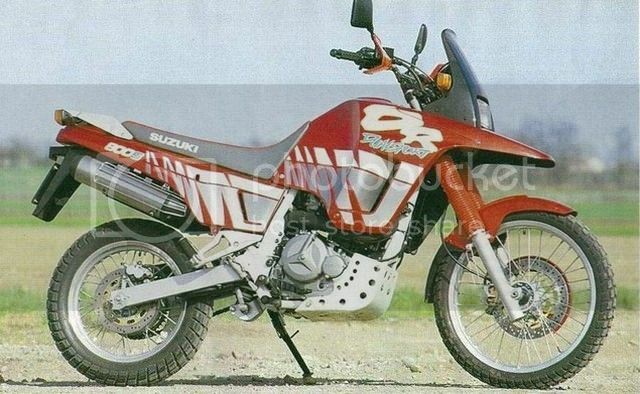 With more road & touring aim then the DR it targeted the same market as the BMW F650Funduro. IMHO it was actually a little bit better than the BMW at everything but still could not match the BMW's commercial success. 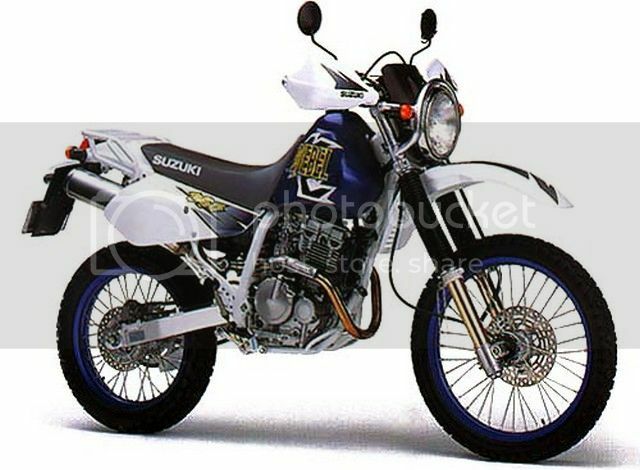 Due to similarities between the 750 and 800 and the bikes being relatively scarce in South Africa I will for now only maintain a combined DR BIG index covering both the 750 and 800. 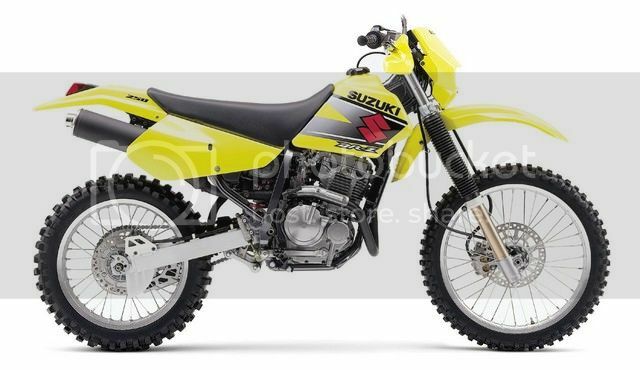 Re: THE SUZUKI DR & DRZ INDEX. Please read before starting a new thread! Interesting. 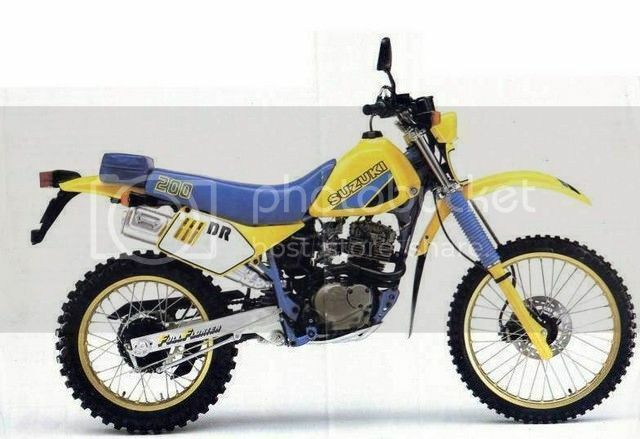 Just thought of the DR600, I think 1985 or 1986, model. 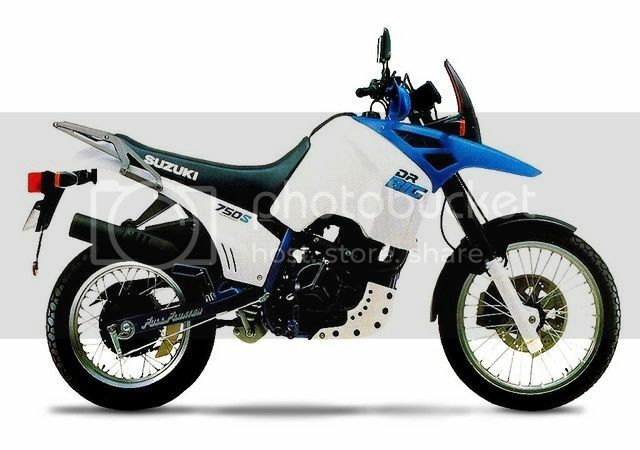 Jislaaik, I drooled over that bike the first time I saw it. Wonder if still available and would like more info of them. Had a brochure of one when they came out. Must still be somewhere, but cannot find same. Saw one the other day at a bike shop in Cape Town, a white one, but badly neglected. Anyway, very nice threat, liked to read about all the bikes. But I must say, I still like the DR600 the most. Would like to own one. You know that I LOVE that bike too! Thanks for the index LaCap! It's going to be of good use!